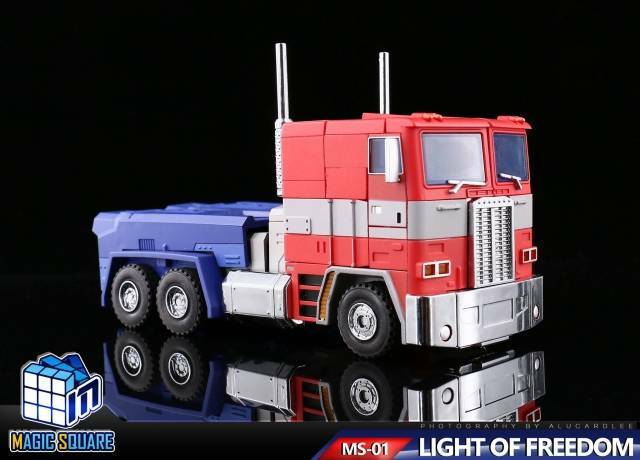 Magic Square - MS-01 Light of Freedom Opti from Magic Square is a G1 inspired Masterpiece scaled figure that transforms from robot to truck and back! 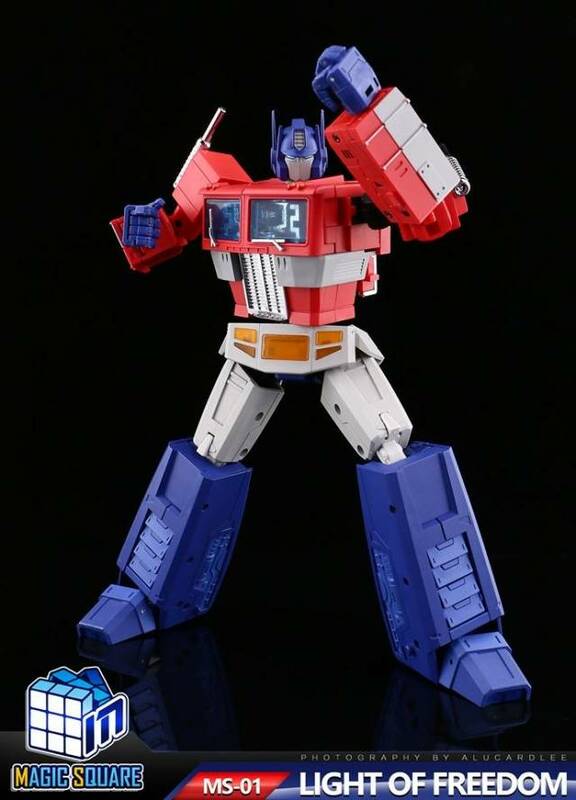 Figure is scaled to other Masterpiece scaled figures and other figures shown are sold separately. Does not include additional accessories. The transformation is really cool. 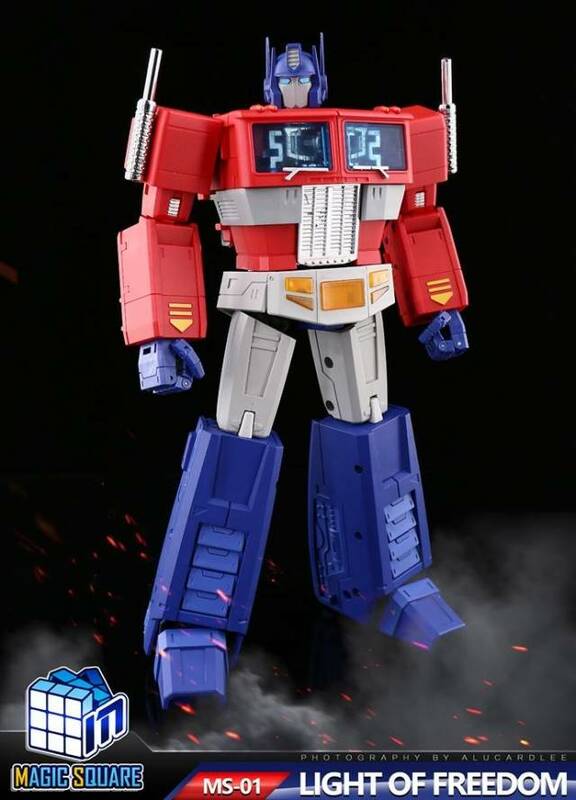 This will be my new Optimus Prime on my masterpiece shelf. Not going to bother with mp-44. This is a quarter of the price without all the extra stuff that makes the price way higher than needed and that no one displays with anyway. 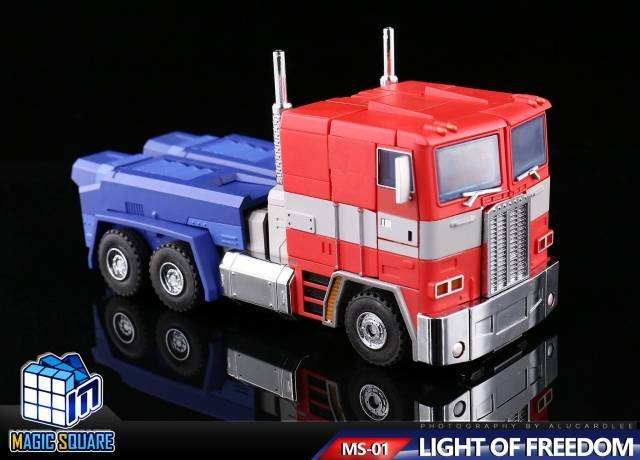 It would have been nice if they had incorporated a way to connect mp-10's trailer, but not a huge deal. Wish there was a little more paint, especially in the legs, but I understand what they were going for. I know a lot of people talk about how light he is, but he still has some heft. There isn't any die-cast (except for the matrix), but he feels very solid. Definite recommend! 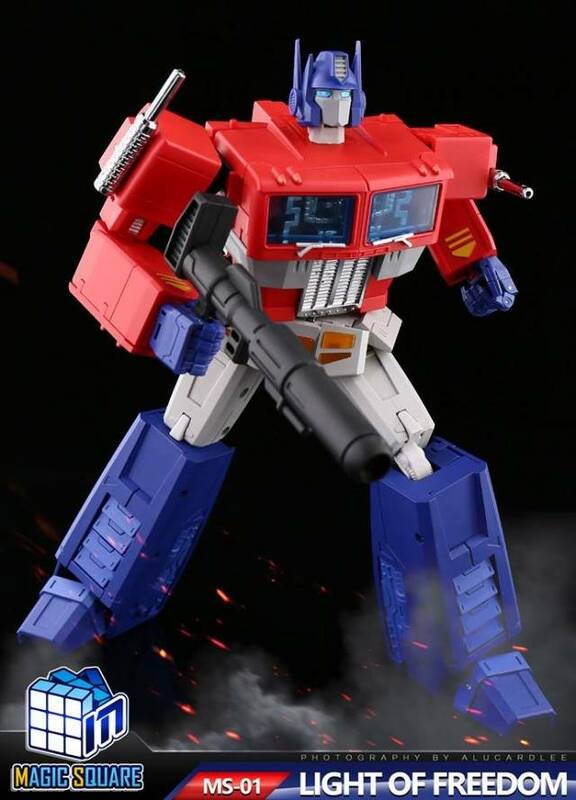 "Better than MP10, but not the greatest quality figure"
This figure is near perfect, comparing it to MP10, this figure has double hinged knees and elbows, and an exceptional ab crunch. The plastic is thick similar to Maketoys. But the cons must not be dismissed. 1. The paint is abysmal. I can leave scratch marks with my fingernails. I wish it had some glossy primer finish, not just for aesthetic, but preservation. 2. The head swapping between toy mold and cartoon depiction is a great perk, IF you didn’t have to UNSCREW THE HEAD. I wish MS had a more intuitive way to swap heads, because the screw strips very easily, not to mention that the screw driver is prone to slip and CHIP your figures heads. 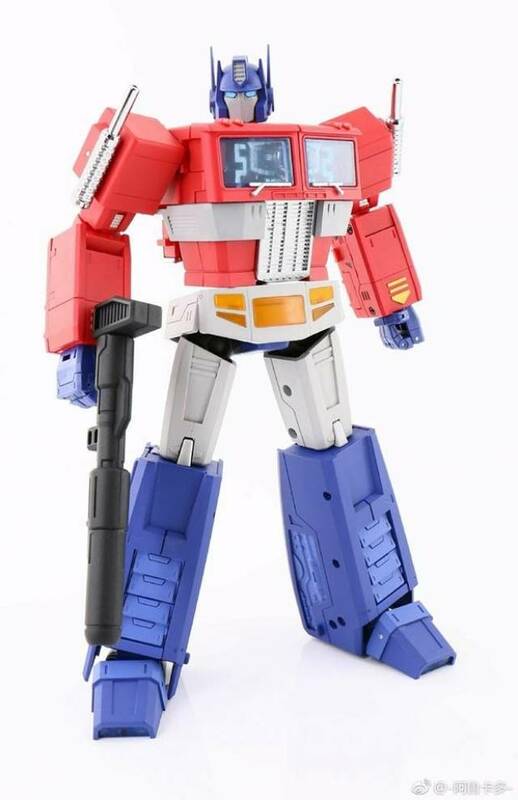 If you’re in the market for a more cartoon accurate optimus, this isn’t it. 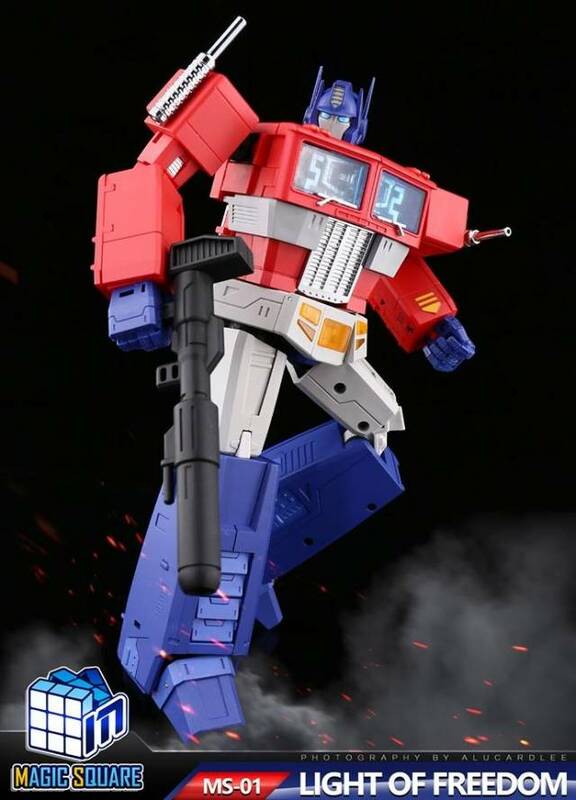 This version has a metal skirt reminiscent to the combiner wars optimus, where as optimus has a metal crotch like mp10. Great figure. 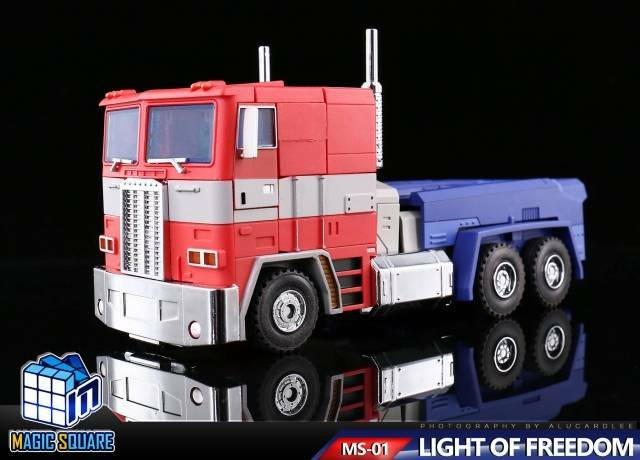 Still can’t put the mp-10 away though. 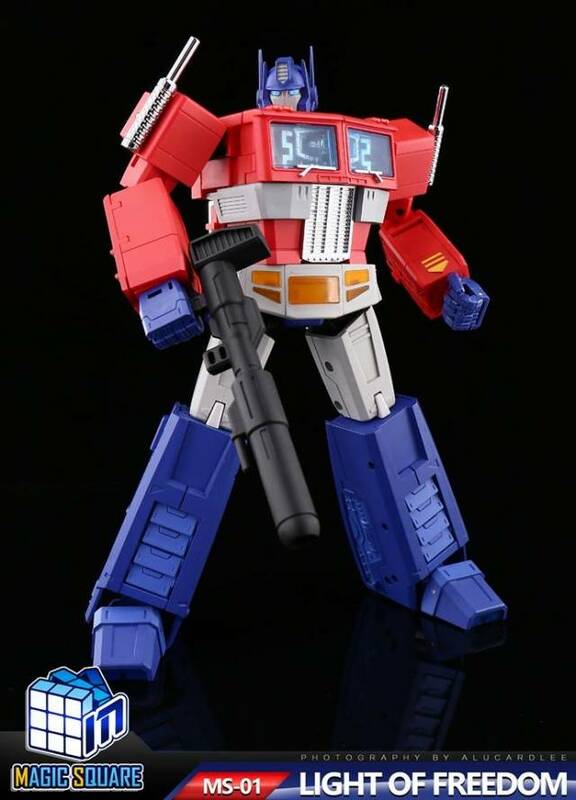 "Best Masterpiece G1 Optimus on the market"
This figure is absolutely incredible!!! You won't be disappointed!!! 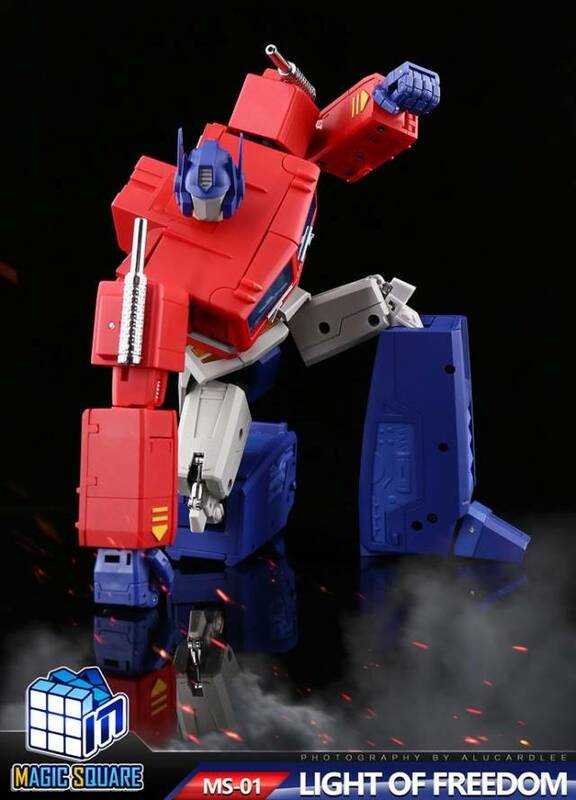 Quality, paint, articulation, transformation, is all on par!!! I'm more of a chug collector, but I saw this and knew that I needed to display it at my work. 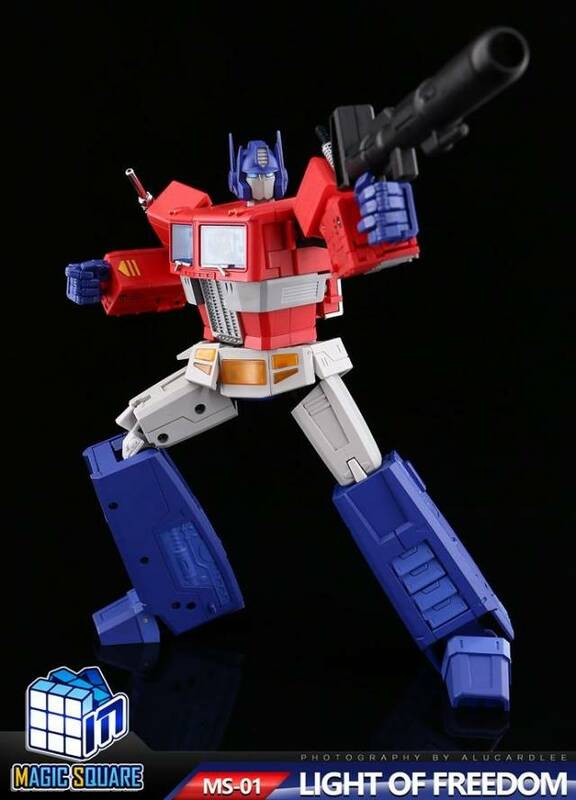 For a 3rd party figure, this is definitely worth showcasing alongside your OM masterpieces or even as a stand alone. I personally like the matte top coat (yes, it is a top coat) but it does scratch a bit easily. The articulation is phenomenal while also maintaining a solid build. 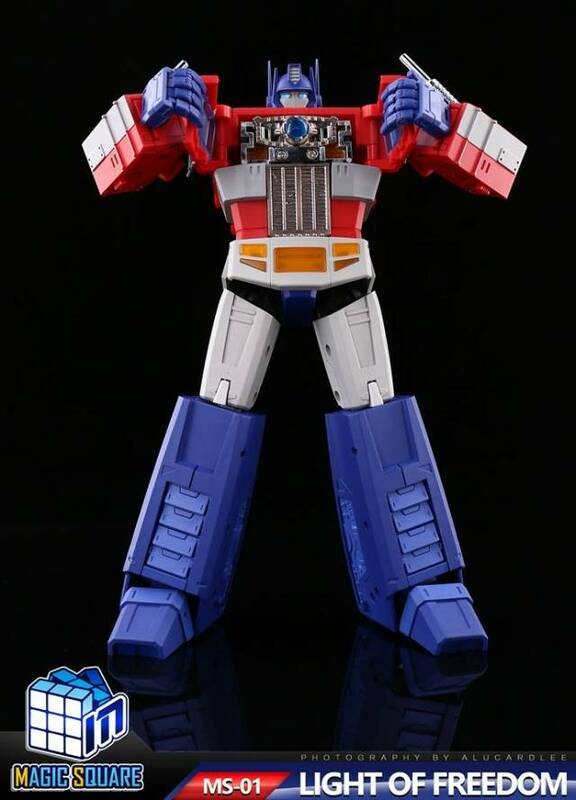 Definitely recommended if you like a more powerful (bulky) looking Prime. 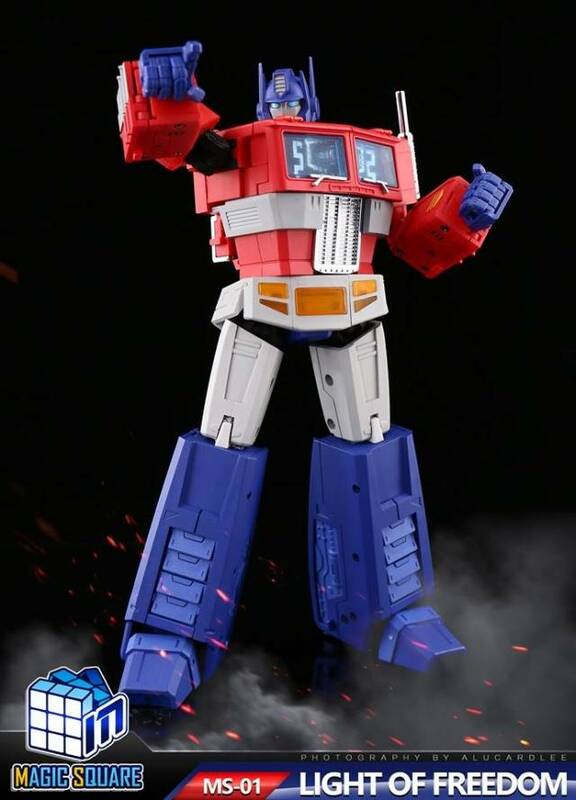 I must say; I have at least 6 versions of Optimus Prime and this has to be the best designed G1 Cartoon accurate version. 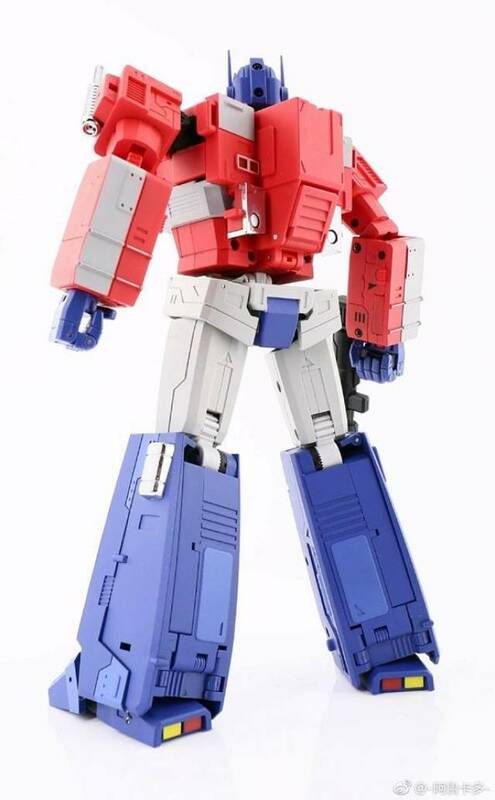 He is very light due to him being majority plastic but the plastic is very sturdy and durable; he has good tight ratchets in the legs but the arms are on pressure joints(which are good and tight). 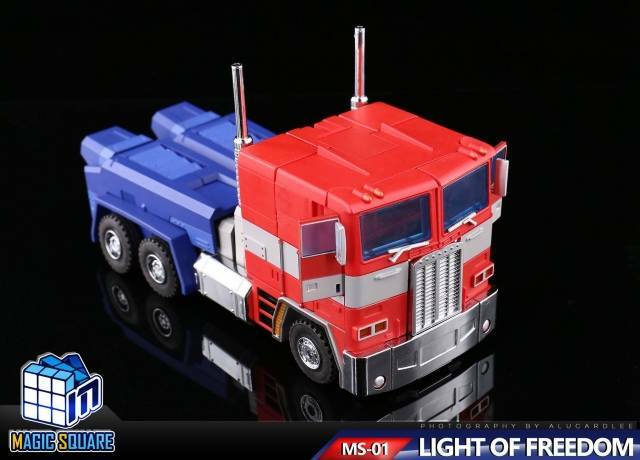 the way the legs transform and hide the wheel kibble is simply AMAZING!! The transformation is fun and adventurous; there are really no cons just the hand joints are a lil loose but not a problem; FYI for tightening up NON RATCHET joints use Pledge Floor Care and a eye dropper. drop one drop of the pledge on the joint and move it around then give it up to 24hrs and the joint will be nice and tight. Do not use on ratchets! I know this is off the subject but this info is for all the transformer fans out there who I'll never meet; you can bring life back to old toys and tighten up joints to your standard on new ones. If you make the joint too tight use baby oil. I highly and I mean HIGHLY recommend getting this guy; you will NOT be disappointed!! Let me first say that this is a great looking figure, but unfortunately it suffers from mediocre quality control. My copy came with multiple loose parts that make it a pain to mess around with. I’m a fan of actually transforming and posing my transformers, but the loose parts on this figure make it difficult to enjoy.